Psalmayene 24 (a.k.a. 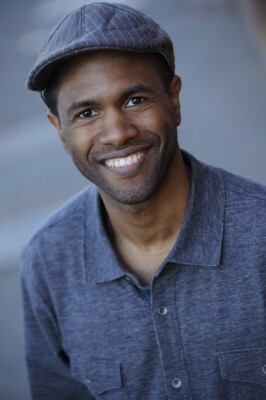 Gregory Morrison) is an award-winning playwright, director, and actor. With the premiere of CINDERELLA: THE REMIX at Imagination Stage in April 2014, Psalm (as his colleagues call him) completed his critically acclaimed HIP-HOP CHILDREN’S TRILOGY that explores the past, present, and future of hip-hop culture. Also having premiered at Imagination Stage, the other two plays of the trilogy are ZOMO THE RABIT: A HIP-HOP CREATION MYTH and P.NOKIO: A HIP-HOP MUSICAL. Among other awards, the plays of the trilogy have earned two $25,000 development grants from the National Endowment for the Arts, a Walt Disney Corporation grant, and a Helen Hayes Award nomination. Psalm’s musical “remix” of Romeo and Juliet, THE MOST EXCELLENT (AND BUSTED) BATTLE, received a workshop and reading at Playwrights Horizons in April 2014. His play, DREAM OF THE DISENFRANCHISED BLACK MAN, received a workshop and reading at Theater Alliance in May 2014. He has received commissions from Arena Stage, Imagination Stage, and the African Continuum Theater Company. His play JOURNEY TO THE DOOR OF NO RETURN… has received workshops and readings at Arena Stage and Penumbra Theater and was selected to be a part of the Black Women Playwrights’ Group’s Cyber Narrative Project in partnership with M.I.T. and George Mason University. Psalm’s one man play, FREE JUJUBE BROWN!, is recognized as a seminal work in Hip-Hop Theater and is published in the first Hip-Hop Theater anthology, Plays from the Boom-Box Galaxy: Theater from the Hip-Hop Generation (TCG). Psalm is the recipient of a 2012 Individual Artist Award in Playwriting from the Maryland State Arts Council, and has also received grants from the DC Commission on the Arts & Humanities and the Boomerang Fund for Artists Inc.
As an actor, Psalm has appeared on HBO’s critically acclaimed series “The Wire” and is a member of Actor’s Equity Association. In 2014, Psalm traveled to India to devise theater with Arena Stage’s Voices of Now program. He is a member of the Dramatists Guild.